Around 25 years ago, Colombia was at the verge of creating a whole new chapter in terms of its musical expansion, they called it “fusion”. Fusion was blending rock with afro-cumbia patterns in order to reaffirm the collective sentiment of authenticity most of bands were looking for, starting from Bloque de Busqueda, Aterciopelados, Ekhimosis it went really fast to the underground acts like Morphonia, Shai, and so on..
From all the acts of those times, the first band that went blending cumbia, with ragga and nu-metal was H.U.M.O. , and let me tell you, this band was visionary, and everything you’d like to have at the time.. awesome music, great lyrics, massive live appeal. They had one thing that wasn’t on their favor, tho. They were “poor” as in coming from a conflicting neighborhood where social scrutiny and prejudice would not allow fellow bands to go to, or allow them to open up to other scenes within the city which eventually caused the band to dismantle and each member to go on different routes. The brain behind the fusion part in H.U.M.O was a producer who had made waves in the underground as a guitarist, vocalist and overall a pioneer in foreseeing the value of adding cultural value to existing genres. Gux Swadharma, whose real name is Gustavo Torres, became an underground cumbia fusion pioneer in the same ranks of Pernett, Dragao, or Simon Mejia (from Bomba Estereo) although his personal choice went towards academy becoming a University/College professor rather than an active musician which explains why we didn’t really hear from him as much as we would like to. 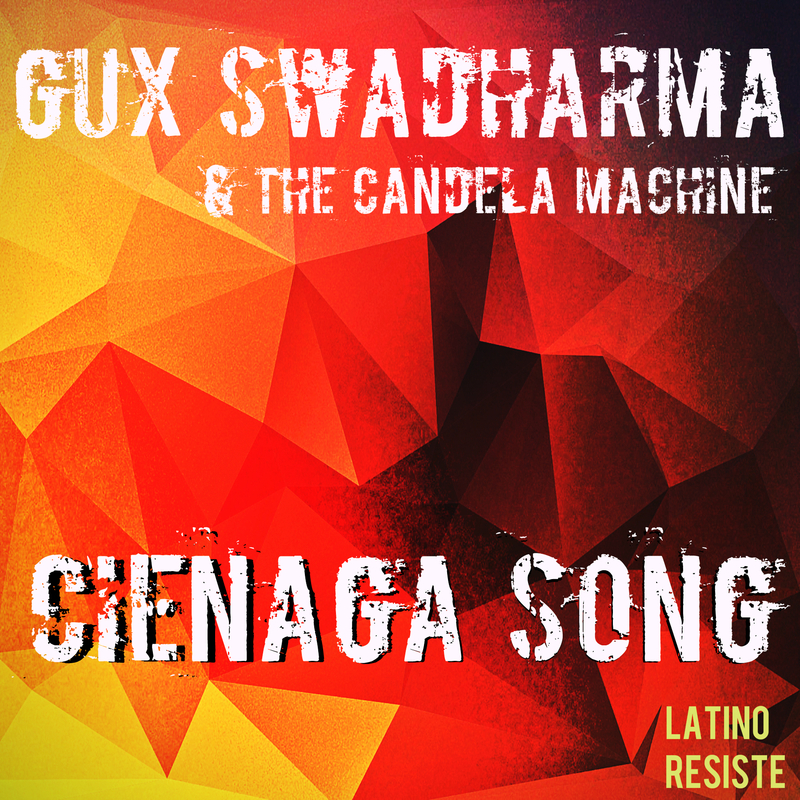 Fast forward to 2019, Gux Swadharma gets The Candela Machine on full power to unveils his latest track called Cienaga Song in which we find ourselves listening to a mature futuristic roots track that keeps tight relation to the iconic cumbia cienagera.